Follow the instructions on the Fabric Medium, mixing it with ordinary acrylic paints, to magically turn acrylics into fabric paints! Cut your shape from ordinary paper and spray the back of paper with spray adhesive. Let adhesive dry for 3-5 minutes and you will have a temporary bond, like Post-It Notes. Line the shirt with a piece of cardboard and affix your "stencil" to the surface of your shirt. Stamp the colors using the pencil eraser to the inside of the stencil. I like to move from darker to lighter, filling the entire area inside the stencil. 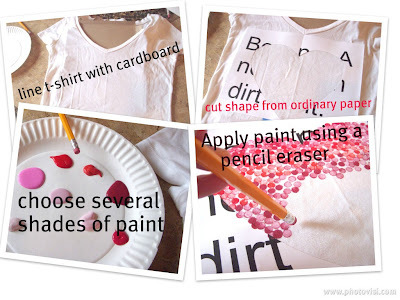 Let dry and peel off the paper stencil. 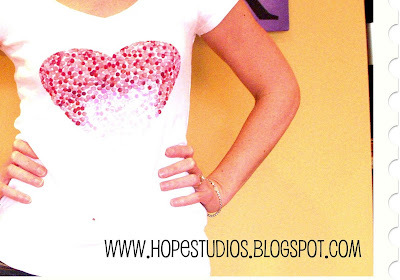 This is a super cute project and the heart is perfect for this time of year. Gorgeous and looks soooo easy!! Very cute. 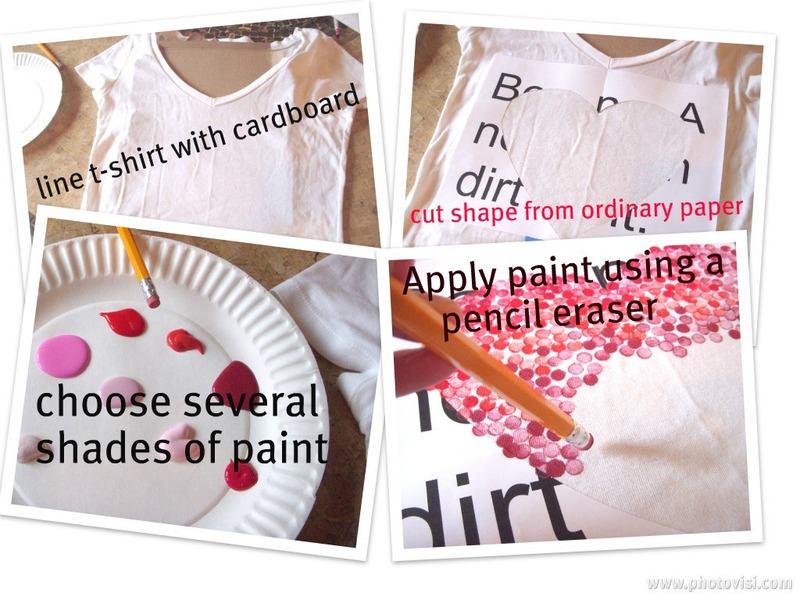 This is something that would be easy for the kids to do as well. I think I need to try this this week!! I love it! 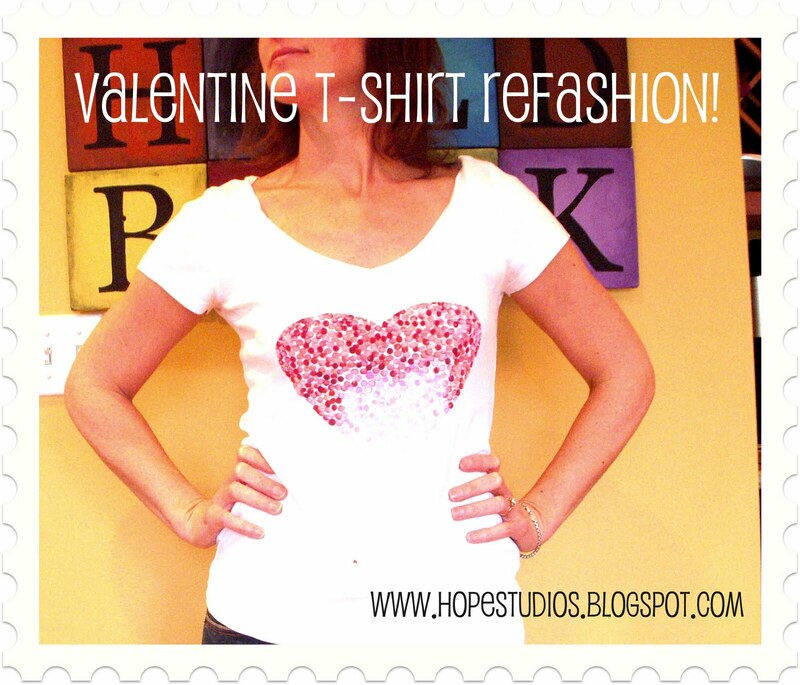 I am horrible on white cotton - now I know how to save those hardly worn t-shirts! Thank you for sharing. That is adorable! I want to try that...bet my kids would like to make this, too.